U-Haul is hiring more part-time Roadside Assistance Agents. They also posted a new listing for Customer Service Agents and two new listings for (inbound calls) Sales Agents. In its earlier job listings, U-Haul included the text, “Work from anywhere in North America.” This is absent from its new listings, but we assume it’s still true. Our Facebook members who work at U-Haul say these jobs are multi-state. (We’ll post here if we learn otherwise.) Per the new listings, you must be available to work Arizona hours. Educational period begins – Week of December 18th Monday-Friday @ 7am-12pm (AZ time) for 3 weeks. Our state-of-the-art Call Center provides a variety of in-bound call support. Call center team members take back-to-back, incoming customer calls handling and determining a resolution to escalated calls during their rental. 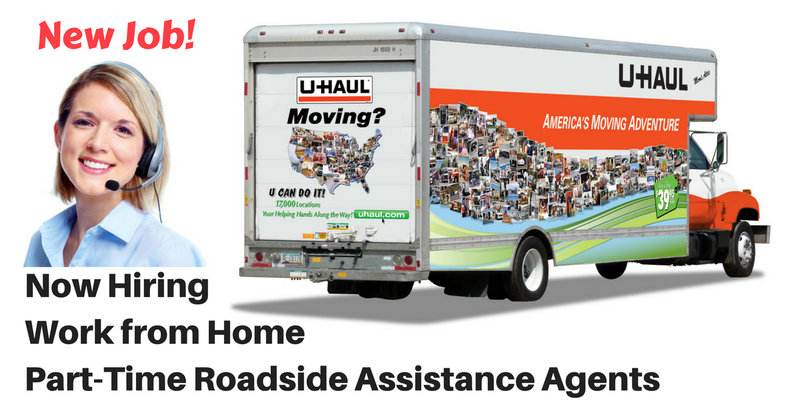 To find all of U-Haul’s work from home openings, click here. Then click on View Job Listings, then search with “work from home” without quotes. For more jobs like these, see our Newest Jobs & Gigs page. To be the first to hear about jobs like these, like our Facebook page. Good luck in your work from home plans!